Meet Riya, a sophomore Burnett Medical Scholar, Lead Intern for UCF Blood Drives, stem cell researcher and lover of Indian dance! "I’m Riya Shah, I’m a sophomore from Michigan majoring in biomedical sciences and minoring in Spanish. So, I had no idea I was going to apply to UCF – they were just offering so much. I actually applied to the Burnett Medical Scholars program here and I was accepted to that, which was a really big factor. The biggest thing for me though was the campus itself – when I visited, it just felt like home. This place was where I knew I could succeed – where I knew I could thrive. The people, the environment here, I just loved it. I knew I was coming here for as long as I could. For me, moving to a new state is obviously very different – I was just really surprised about how much responsibility that college brings – you have to go out and buy your own groceries, things like that! It was just a big change for me, and it was hard to adapt at first, but now I love it. I definitely learned a lot about myself and the whole college process in general. 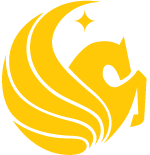 The Burnett Medical Scholars program is an eight year, non-binding direct medical program, which basically means you have reserved a seat in the UCF College of Medicine as long as you keep up with certain requirements of the program such as a certain GPA and MCAT score. It is non-binding in the sense that you do not have to attend the College of Medicine, and you can forfeit your seat if you desire to go to a different medical school when the time comes. 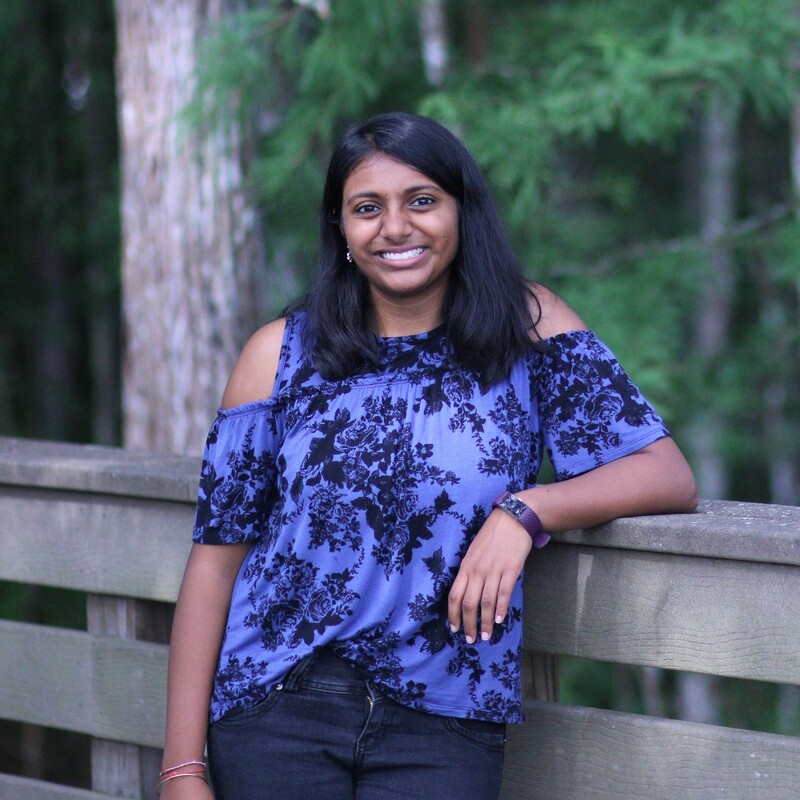 I’m a National Merit Scholar here as well, and joined the Indian folk dance group at UCF because I love to dance. I am also involved in neuroscience research at Lake Nona. We work on stem cell therapies for degenerative neurological diseases – for example Alzheimer’s, Parkinson’s, brain cancers – we try to find different types of stem cells that can regenerate neurons or help the state of the cells with these diseases. I knew that I was really interested in neuroscience and stem cells, and there is a lot of undiscovered potential with stem cells, so I was really thrilled to get into that lab. I didn’t have a lot of research experience before, and this experience has taught me a lot. I really get to see how much effort goes into research, but also how fun it can be. As a Burnett Medical Scholar, a requirement is to complete an Honors in the Major thesis, and because of working in this lab I get to figure out what I will be doing for that and what I’ll be studying in the future. I started working with UCF Blood Drives in January of 2018. I was actually on Handshake scrolling through looking for different opportunities, and I saw UCF Blood Drives. I’ve always wanted to make a big impact on campus - it didn’t have to be in one type of area. I thought blood drives really help save lives and people in need, so I applied for the internship and I ended up getting it. It was a great experience and the whole team was so nice and so welcoming. Actually, I was their first official intern because they just started up the internship program, so it’s a pretty new program. In the spring I was an administrative intern, and I helped with a lot of the oversight. I helped update the calendar, and I created a big database with all of the big blood drives in the entire nation to see what we could improve on or how to get more donors. There are about 50 programs in the nation. The goal with UCF Blood Drives is to become the largest university led blood drive initiative in the nation by 2020. 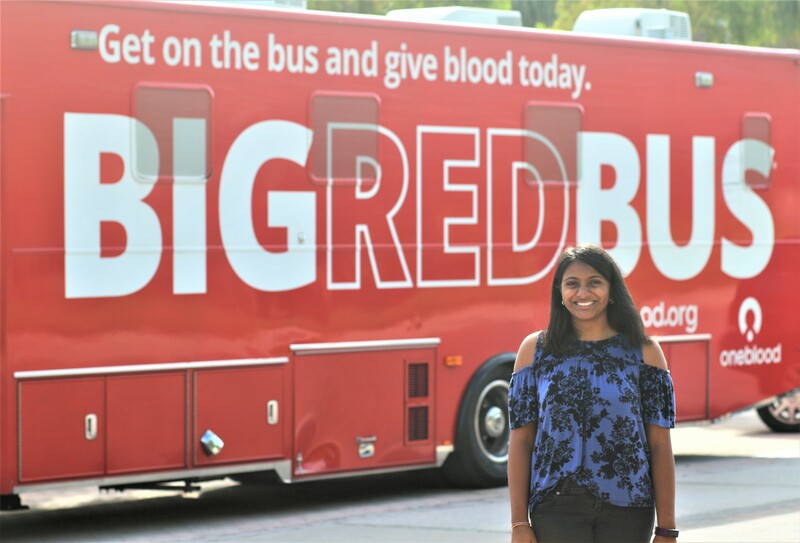 Every Wednesday we have the bus out on campus, and one week each month, we have a week long blood drive. We get approximately 15-20 pints during each drive. We would really like to push those boundaries, and get as many as we can. They say one pint saves three lives, but a lot of people don’t realize how big of a necessity it is because there is always trauma taking place. It’s always a good idea to donate blood – you’re helping others, and it’s a great way to give back to the community. One of my favorite statistics is that when you donate blood, you lose 650 calories because your body has to replace the blood you lost. So, you can either work out or give blood and help someone! This semester, we brought on two new interns, so I became the lead intern. I’ve been working on getting donor and recipient testimonials to spotlight them, to get more people interested in donating. We are trying to keep up our social media now that we have more followers. We have lots of opportunities, with internships and special event committees, and I try to work with all these groups of people to bring us together for this one cause. This fall, I want to continue with the blood drives. Our main goal is to get more donors – I think we need to build up our foundation. In the spring we have one main indoor drive called the Big Drive, where we expect 4 or 500 donors. So right now, we are trying to get our donor numbers up so we will be able to get the word out about this event. I’m also continuing with classes, the dance team, and I volunteer as a medical receptionist at a clinic. I’m a Spanish minor, so one of my biggest goals is to study abroad next summer!